Parade returns to Reston Town Center on Nov. 23 (Friday) at 11 a.m., bringing a flurry of festive activities for participants. Sissy Sheridan, a 14-year-old stage and screen actress born and raised in Reston, will act as the event’s grand marshal, leading the parade in a chauffeur-driven convertible. She is known nationally for her popular children’s series, “Chicken Girls” and she also hosts the Nickelodeon show “DIY with Me,” as well as Netflix’s “Maniac,” which also stars Emma Stone and Jonah Hill. 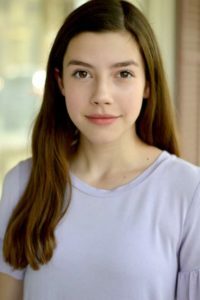 Until January, Sheridan will appear in “Billy Elliot” at Signature Theatre in Arlington. After the event at around noon, Sheridan will be available for a meet and greet with fans in Fountain Square. USA Today Travel named it one of the best parades in 2016 and 2017. It includes Macy’s-style balloons, marching bands, dancers, antique cars, characters, as well as Santa and Mrs. Clause in a horse-drawn carriage. More than 1,400 performers are scheduled to participate in the one-hour, half-mile parade along Market Street. This year, the guest emcees are Angie Goff and Doug Kammerer of NBC News4. The complete schedule for the parade and events planned for that day is available online.